As you will recall, the USIA was created in the midst of the cold war and was, in the phrase of the Agency motto, designed for “telling America’s story to the World.” With last year’s reorganization, including the addition of the Bureau of Educational and Cultural Affairs from State, the President directed that ICA [International Communication Agency -- JB] move toward bringing foreign culture and perspectives to our own people, as well. This mandate seemed particularly timely since our foreign policy was likely to be understood only if our people became aware of the extensive global change and associated political and cultural activism of the previously passive world majority. It is clear, however, that this process of education and communication with our own people has barely begun at ICA. I start with this point because inadequate domestic understanding seems to be a weak link in our foreign policy chain. The Carter administration must do a better job of helping the American people understand the world forces amid which Administration policy is shaped. This matter of informing our people about the rest of the world is somewhat different than informing our people about our foreign policy. ICA is prohibited by law from making its materials intended for foreign distribution also available at home. This is justified as an effort to guard against the agency being used to boost the “political” fortunes of whichever Administration happens to be in power. This concern is understandable since the communications materials distributed abroad by the Agency tend to emphasize the positive themes of our society and the President is always cast in a favorable posture. ICA Director Reinhardt (1978) on "influential foreigners" brought to the U.S. to "be impressed"
Note: For a brief period (1978-1982), the United States Information Agency (USIA, 1953-1999) was renamed/reorganized as the International Communication Agency. Note: For a brief period (1978-1982), the United States Information Agency (USIA, 1953-1999) was renamed/reorganized as the U.S. International Communication Agency (USICA). In my first letter of this series, I mentioned that I would be discussing with you the role of the library in the Agency’s overall operations. 2 In this letter, I will indicate the importance, nature, and objectives of our libraries, as well as what we expect of you in their management. Some of you have libraries, some of you do not. The purpose of this letter is not to open or close libraries; rather it is to establish general principles governing their operation, wherever they exist, and unmistakably to point up their fundamental importance in the communication process. Libraries will not run themselves while principal officials turn their attention to “more urgent” matters. Libraries are important; we will treat them as such. Libraries are expensive; they require prudent and direct management by PAOs. The ICA library is an overt expression of the importance of free inquiry and of an informed citizenry. While the library can be a means of communicating specific ideas in the ICA programs overseas, it can also be, in itself, a powerful statement about American knowledge, culture and achievements. Our use of libraries must be consistent with the precepts of good communication, the precepts of contemporary American library practices, and the tradition of the American library. Libraries are institutions with a long-term communication objective. The social and intellectual rate of return on libraries cannot be measured in months or even tours of duty. In my first letter, I established the “increase in the intellectual or social momentum on any chosen subject” as our ultimate objective. We should admit, I think, that the stimulation of certain kinds of ideas—including those represented by our libraries—will take time. Indeed, one of the virtues of a library is to serve as a daily reminder—as we deal with the brush fires of the day—that serious communication on serious topics is a long-term proposition. We do need to focus on today’s problems, we will focus on these problems, but we also need to avoid the trap of being consumed by them. The task of integrating [Page 448]a library into an effective communication strategy will force us to probe more deeply into the nature of our communication problems and opportunities. It will force us to keep our eyes on the long haul—as we must. An ICA library must consist of a core collection containing those books, periodicals and other materials which embody the sustaining ideas of the American past as well as the generative energy of the present. It must center on American biography, history, philosophy, fiction, drama, and significant works in contemporary social science broadly defined. Every ICA library worthy of the name should offer the best—and only the best—books and journals in these fields; it follows that any foreigner using such a collection becomes important to us, even though we do no more than respond to her or his library needs. The library’s design, collection and evolution must attract segments of the broad student community. Indeed, few resources at the disposal of a PAO are more adaptable to the student population. When carefully selected students are attracted to and use the materials of your library, count your blessings. Conversely if they do not darken the library door, the burden of explanation is on you. Special circumstances may justify the inclusion of other materials in the library, materials selected with student and non-student users in mind. The communications needs of your post might be served by the inclusion of materials on management techniques, for example, or American scholarly works about the host country. But such materials serve an objective different from the central objective which I assign to the library as an institution; you should be able to justify the ways in which these additional materials support important objectives. The core collection itself may change and grow, but by nature will be steady, dependable, relatively timeless. Local institutions may serve the same needs as our core collection. In no case should we simply duplicate an existing, accessible collection—even for the purpose of “showing the flag” (except of course in certain closed societies like Eastern Europe). Where accessible collections exist, our own efforts should effectively be directed to their enhancement or the creation of special ICA collections or ICA reference centers, assuming of course indigenous cooperation and communication interest. If we accept as our library objective a role in projecting this country’s intellectual resources, inquisitiveness, and openness, our task must be to make the core collection (as defined above) attractive, accessible, relevant and known to the society in which the library operates. The greatest scope for your talents and creative energy lies in making the library relevant and known in selected circles. While the library exists primarily for those who wish to use it, we should be engaged in raising [Page 449]the consciousness of local institutions with respect to the intellectual potential which it represents. I depend on you to engage in the development of a close relationship between the library and local institutions. In X country this relationship may be with principal secondary schools, while in Y it may be the social science faculties of selected universities. In short, the determination must be the PAO’s, there being no precise Washington formula for worldwide application. Do not confuse this point with “outreach” (on which I intend to send you a separate letter). The Agency’s outreach program has been and will continue to be an important vehicle for communicating certain ideas to a few individuals. The library, on the other hand, might be described as the focus of “inreach”—an intellectual resource available to those who wish to use the collection for their own reasons. Your objective should be insuring that the collection is known as an available and highly relevant resource. But we will not deform a library’s strength as a long-term communication instrument in an effort to reach those whom we have traditionally described as “primary audiences” for short-term purposes. If such individuals use the library, so much the better; but your basic purpose should be to link the library to its natural audiences, among which the selected student community should rank high. I define a library’s natural audience in the following terms: In all societies, some individuals read; others do not. Libraries draw a natural audience from those who visit or otherwise use the institution. Many will be students, teachers, young functionaries; others will be important current mission contacts. If the latter visit and use the library, we shall be elated. But—and I repeat for emphasis—the library must not be deformed to serve only current leaders or the acknowledged elite. Bear in mind that cabinet members and university presidents are not frequent visitors in Bethesda or Boston free public libraries. Those in the natural audience who use the library and grow to understand the knowledge, achievements and values it represents may, indeed, be unidentified potential leaders in the context of the long-term communication objectives the library is designed to achieve. One of your major management responsibilities with respect to the library is the support and development of the local national library staff. The significance of the ICA library will depend in part on the level of literacy and English competency in your host country, in part on alternate sources for books and ideas, but significantly on the quality and activity of the library staff. However extensive the library collection and its supporting facilities, the library’s reputation and effectiveness depend to a large extent on the ability of the staff to respond quickly, constructively and imaginatively. The foreign national librarian who can act as an “intellectual detective” to search out and share informa[Page 450]tion, to pursue leads, and to refer people to each other may be a library’s greatest resource. Limitations of foreign staff may, in some cases, stop us short of achieving this goal. But the Agency’s professional librarians and training programs for foreign librarians (both of which we intend to enhance) are available to help create institutions where the expectation that “something may happen” is the intellectual stimulus drawing people to the library. We have the resources to achieve our objectives; I expect you to tell us how to put them together. Your Washington colleagues have been very persuasive in arguing that we need from each of you a kind of library Country Plan. I have at least temporarily rejected their counsel because I do not believe that Washington knows exactly what it wants in such a Plan. Hence, what I should like for you to do in the immediate future (say between now and December 15) is to sit down with your staff and work out a library rationale for your country. (This instruction applies to countries with libraries; at this point I am not taking “orders” for establishing libraries, though any proposals will be attentively studied.) Following the principles set forth in this letter, you should determine how the library advances your communication objective, what its natural audience is, what special audiences will be attracted and how. Then forward this Plan to your Area Director and ECA/FL no later than January 1. It will help them execute their managerial responsibilities. It goes without saying, I hope, that you will also seek the counsel of regional library consultants. One caveat at the risk of sheer repetition: I have indicated that “selected students” are the principal component of the library’s natural audience. The key word, of course, is “selected.” I am very leery of restrictive attendance formulas; on the other hand, I realize full well that libraries must serve some purpose other than warming and cooling their clients. What I want to establish above all else is that the Agency no longer expects you to attract the prime ministers, cabinet members, and other high-level officials who simply do not have the time, nor probably the inclination, to visit your library very often. But there must be and can be visitors—users—and chief among these are selected students. Students have always challenged us as an Agency; let’s accept the challenge. P.S. Remember once more that nothing in this letter addresses the subject of outreach and that in due course we will write about this [Page 451]important communication instrumentality. A library by definition is a book place, people come in, use its collection, and go out. Theoretically outreach does not depend on a library; books could be stored in a warehouse or garage, each affording a non-public place from which we could reach out. British High Commissioner to Ghana Jon Benjamin delivered a speech on Diplomacy at the DreamOval Foundation event at Accra. It’s great to be back at the British Council - almost my second home in Accra, professionally speaking - with thanks to the Dream Oval Foundation for inviting me, and just as importantly, for letting me choose my own topic! But I hope it’s one of interest to you. The topic is – “diplomacy in the digital age”. It is, however, Friday evening, at the end of a long week and so I don’t want to bore you by speaking for far too long. Instead, I’ll leave a lot of time for questions afterwards, which I’m hoping they’ll be quite a few of. Now you know we Brits often quote Winston Churchill, and here’s one of my favourites. Just before making one of his many memorable speeches - like this one timed, I believe, on a Friday just as everyone might already prefer to be off concentrating on their weekend plans - Churchill said this: “I’m now going to make a speech. It’s my job to talk and it’s your job to listen. Let me know if you finish your job before I finish mine”. So, at the first sign of anybody dozing off or finding their smart phone much more interesting than I am - which, let’s face it, wouldn’t be too difficult – then I’ll cut these opening remarks even shorter and there’ll be time for even more of a discussion. Now, what follows are my views and mine alone. As such they are no more valid or inherently correct than anyone else’s, so I’m very happy to be challenged and told I’ve got it wrong – that’s what discussion and debate are for. First up, some definitions. We’re talking tonight about digital diplomacy. Diplomacy existed long before digital diplomacy, so - what is diplomacy? Well, diplomacy is how countries do foreign policy [repeat]. Fair enough, but what’s foreign policy then? Foreign policy is one sovereign state’s strategy for dealing with other sovereign states. [Repeat] And why? A country has a foreign policy in order to safeguard its own interests and achieve shared international goals. In other words, diplomacy is about how a country does that. Foreign policy is managing international relations - to achieve your own aims internationally and shared international goals with others. That’s the aim of foreign policy; diplomacy is the means of achieving that aim. And diplomats are the people who do that professionally, though there are plenty of other less flattering definitions around about my profession, like, famously: “diplomats are people sent abroad to lie for their country” – not a concept I personally subscribe to! So, if diplomacy is the machinery for conducting foreign policy, what about digital diplomacy, the title of this talk? What does that mean? Put simply, digital diplomacy is how governments and their diplomats use the Internet, smart telephony and social media as part of managing international relations, again in their own national interest. That’s what we’re talking about, and that’s important because, frankly, sometimes - and I say this even as a keen practitioner of it myself - I think that there is a tendency to overstate the meaning and importance of digital diplomacy. As a profession, I guess like many other professions, diplomacy can have a self-obsessed fascination about itself – often while failing to make an impact on others. There’s a recent tendency, I think, to spend too much timing talking and navel gazing about digital diplomacy rather than just getting on and doing it. My point is this: digital diplomacy may be a new form of the art, but it’s still diplomacy, not separate from it. And diplomacy, one of the world’s older professions - though not I’m reliably told the oldest - has essentially always consisted of two parts - the private and the public. Private diplomacy – by which I mean confidential, quiet exchanges between governments and off-the-record private conversations with leading figures in society - still happens and is still the core of what we do. So, if I go to see the President, or the Foreign Minister, or the leader of the opposition, or a key businessman about a perspective commercial deal involving the UK, or I have an off-the-record discussion with the Editor of a newspaper, then what we say to each other remains private. indeed, much more often than not, the very fact that we’ve met stays private too: you won’t find me tweeting about it. But that confidential, behind-closed-doors diplomacy has always been complimented by public diplomacy. And public diplomacy means direct, on-the-record communication by governments, directly or through their diplomats, with the publics of other countries in order to inform and influence them – and sometimes in ways that the governments of those other countries might not like. Public diplomacy has existed for as long as private diplomacy has. So, my main thesis tonight is that digital diplomacy is just another, just the latest, form of public diplomacy, though arguably the most public form of it ever. Similarly, social and digital media may be the latest and most wide-reaching forms of communication ever known – but they are still types of communication, not something wholly separate. In other words, let’s not put digital diplomacy and social media completely on a pedestal. Individual human beings have always communicated, that’s one of the core things that make us human; and societies have always engaged in mass communications. So, we’re talking about a new form of communication, not something that is above and beyond, or a wholly separate category from basic communication, per se. All that said, the Internet, social media, blogging, smart telephony etc are qualitatively different forms of communication, and that has consequences for how we use them in diplomacy. Digital technology has certainly disrupted and transformed diplomacy, and most of all of course that public part of it, the part we call public diplomacy. Apart from anything, our diplomacy now has to be quicker, less formal and rigid, more impactful, more robust in debate and more responsive to those who question it. To paraphrase one of the great gurus of this subject - my friend and colleague British ambassador, Tom Fletcher - successful digital diplomacy is about three things: authenticity, engagement and purpose. It’s most effective when all three are achieved at the same time. If you only meet two out of those three qualities – which, again, are authenticity, engagement and purpose – if you only hit two out of those three, then you may miss the mark. So, for example, authenticity and engagement without a real purpose can be eye-catching but may well end up being pretty ephemeral or not more than sloganistic. But add some real purpose – such as the hashtag #BringBackOurGirls, which was both an awareness raiser and a description of the end goal at the same time – and a digital campaign can create a common aim that goes viral. Against that of course, we can surely only judge that campaign a success, if we then do actually bring back the girls, something sadly we’re still waiting for in this case. So, we have to progress more now in developing the metrics to know if and how we’ve actually influenced others, what reach and access we have and where – and whether we’ve actually achieved anything through such campaigns. And, more generally while I’m on this subject, beware of viral hashtag hysterics that may reflect very genuine and widespread concern, but often replace, or certainly don’t lead to, real action. People often have short memories. The circus moves on, a new issue takes over public attention. So, a social media campaign might be very intense but only short lived, with little account asked for later by the people who so enthusiastically took part in the first wave of concern. Real concrete results in diplomacy are nearly always the result of long, hard, patient hours, days, weeks and months - and sometimes years – and not the result of sending out a tweet. So, that’s authenticity and engagement without a real purpose. But, alternatively, how about if you have authenticity and purpose but no engagement? Then, you might be transmitting a message without others hearing you and without you listening to what others think. A lot of political and business communication still falls into this trap. For me, one of the great things about my own social media engagement is that I end up speaking directly with - or ‘engaging’ - a lot of quote unquote ‘ordinary’ people, including people who, quite frankly, didn’t necessarily expect to find themselves having a conversation with an ambassador or high commissioner. Given that diplomats, particularly ambassadors, have so often, and often for good reason, been regarded as remote and elite figures living in an ivory tower, I think this ability to have a real time conversation and directly to answer questions from people who have never interacted with a diplomat before is inherently terrific. It breaks down real or perceived walls. It humanises my profession. It is also democratic and transparent, as a way for the public to hold diplomats accountable – and remember diplomats, like me, are public servants and so they should be held to account. In short, social media now allows supposedly ‘ordinary’ people to talk directly to a real person in a position of some relative power and influence – and, generally speaking, I think they much prefer that than to speak to an institution, or, indeed, to a brick wall. So, that’s authenticity and purpose without engagement. So, finally, what about engagement and purpose but without authenticity? In my view, that can simply add up to insincerity. I’ve often said that while we all make mistakes on social media - and heaven knows I have made and learnt from a few of my own - the biggest mistake now is not to be on social media at all. Another mistake is to be on it so infrequently or in such a boring, ‘safe’ manner as not really to engage at all. But, another serious mistake in my view is to be on social media but to fake it, by trying to be someone you’re not. Generally, sooner or later, people will see through a faker. So, I always try and be myself, and true to myself, in my online persona, while also trying to be a good representative of those who pay my salary. So, for example, if you don’t really care about football, you should not pretend that you do, simply as a means of seeming more approachable. Fortunately, as you know, I do like football, and talk about it a lot. But I don’t generally pretend that I like, say, opera … because I don’t. So, I don’t talk about or join in debates about it. Incidentally, I’m often asked why I tweet about things, not obviously to do with my work – sport, music, film, funny cartoons etc. Well, quite apart from the fact that Britain is incredibly strong in all those categories, since we are global leaders in what is now called ‘soft power’, I also happen to think that discussing those things is part of being authentic. I love my work - it’s not just my job, it’s my vocation in life – but it doesn’t totally define me. I have other interests and passions, certain things make me laugh, I have a work-life balance. And I think it’s authentic to show that more personal aspect of oneself too sometimes. In short, on social media in general and in digital diplomacy in particular, it’s important to find your own, genuine voice, not somebody else’s. Reflect a true you, not somebody else. Of course, there are plenty of pitfalls. I sometimes make what I think are light-hearted jokes, laced with obvious irony to signpost that fact, but some people then take such comments entirely literally and deadly seriously. And bear in mind, too, that it is much easier to share information, which you can generally do very quickly, than to change opinions, which needs perseverance, if it is to work at all. And always remember that everyone is always absolutely entitled not to agree with you and absolutely entitled to question you. Another questions I get is “why do you answer so many questions from others on social media”? I think that, generally, if somebody has taken the time to ask a question, then whenever it’s practically possible they deserve an answer, again not least because I am a public servant paid for by the taxpayers of my country to provide a public service. The ‘how’ people disagree or ask questions, though, is important: I never indulge in personal abuse or insult, that’s just basic good manners. But far too many people clearly do just that online – the famous trolls. My view is that there are always civil ways to disagree with others or ask them questions. Too many people say exaggeratedly harsh things on social media or digitally, that they would never say in public or to the face of the person they are attacking. I think there’s still a need for better social media etiquette overall. or, how we as governments and embassies can increasingly deliver online public services such as visas, passports, consular services, travel advice and emergency response in disaster situations to our citizens overseas? I end by saying that digital diplomacy – by which I really just mean diplomats being proficient and present online and in social media - is not just a recent new addition to traditional diplomacy but already a core part of it. Every ambassador from every country ought to be on it – presenting, debating, responding, countering, influencing. This new kind of public engagement shouldn’t be a professional optional extra but a compulsory part of the job description of every diplomat of every country in whatever country they are serving. So, if you’d like, I’ll now extend that very necessary public engagement by taking any questions or comments you’d like to put. Thanks very much for listening. Finally, the heart of this letter: our concept of communication. USIA [reorganized as ICA in 1978] ... was [n]ever acknowledged as [a] full partner [...] in diplomacy, nor in some cases even as [an] important contributor[...] to national goals. One effect of our perceived lack of relevance in the past has been at least a mild case of institutional self-doubt. It is simply human nature in such circumstances to justify one’s existence by being active. My observations of the past year suggest that we may be too active: too many activities, too many programs, too many reports designed for voracious Washington machines and, most importantly, perhaps too many objectives—and too little time for reflection. I also acknowledge the dilemma faced by many posts at which the environment offers almost inexhaustible communication opportunities. We must regret forgoing some in order to focus our minds and efforts on a few. The choice cannot be easy. But I, for one, would vastly prefer a few demonstrable accomplishments in the realm of ideas than a plethora of merely good activities and programs. Indeed, I am troubled by the verb “to program.” In many instances, it seems to me, effective and stylish “programming” has come to substitute for—and possibly to get in the way of—effective communication. The end of the Cold War changed the global political environment and the way international actors manage their relationships. The approach of diplomacy is getting softer: diplomatic work has expanded from solving problem between states to bridging gaps between peoples, and there has been an increase in the scope and diversity of diplomatic actors (Zhang, 2013). 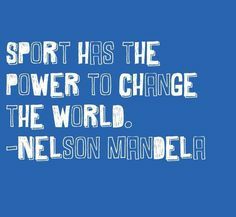 Sport organizations, like many other parts of the society, begin to realize that they can play a part in diplomacy and help build a better world. Recent cases concerning the Olympic Movement include the agreement between the International Olympic Committee (IOC) and the United Nations (UN) to strengthen collaboration in using sport as tool for peace and development (IOC, 2014 & UN, 2014). To understand the role of sport as a tool of diplomacy, we introduce two important concepts, soft power and public diplomacy. Joseph Nye (2004) defined soft power at the end of the Cold War as “the nation’s ability to obtain its desired outcome not through coercion or payment, but through attraction, particularly through the attraction of its culture, its political values and its domestic and foreign policies”. According to Nye (2004), a nation’s soft power rests not only in the hands of the state actors (government agencies), but also in the hands of the various non-state actors (businesses, individuals, non-governmental organizations, etc.). Nye (2004) considers popular culture such as popular sport aims to entertain the general public. It plays an important part in communicating values and is a source of cultural soft power. Public diplomacy is defined as the mechanisms short of war used by an international actor (state, international organization, non-governmental organization, multi-national cooperation or other player on the world stage) to manage the international environment. Public diplomacy has various core approaches (Cull, 2009). Exchange diplomacy is one of them and refers to exchanges of visits between citizens of different countries to generate international understanding (exchanges often overlap with cultural work, and can also be used for advocacy purposes). • First, sport can play a part in soft power diplomacy, because it can be a source of cultural soft power. • Second, sport can play a part in public diplomacy, because it works in line with cultural diplomacy and exchange diplomacy. Regardless of the form, it is argued that sport works softly as a diplomatic lubricant. Sport can create public interest and public goodwill, and appeal directly to the general public, so as to provide a favorable environment for a nation to manage its international relations. Though rarely itself a sufficient condition for diplomacy, sport can be effective in facilitating changes or increasing momentum in diplomatic practices (Cha, 2009). The HLG SD stated that “because the EU foreign policy objectives and sport values do match, (…) sport can help the EU reach many of its external political ambitions. Sport can be an element of dialogue with partner countries and third countries as part of the EU’s diplomacy. It can facilitate the EU’s and it’s Member States’ relations with the wider world” (…) “In its dialogue with sports bodies, the EU does and should seek to promote its values, including its over-arching concerns of peace, democracy and respect for human rights, and its sports related values of good governance, fairness, openness, wide participation and solidarity”. 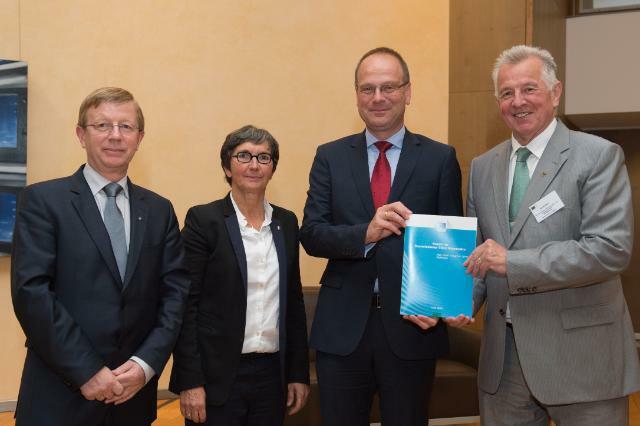 The HLG SD also considered that “Some of (its) recommendations have been designed to be implemented in the short term, within the current EU Budgetary Plan, while others will require vision and political support in the long-term (…). This global long-term strategy for external action of the EU through sport will be a litmus test for the willingness of the Commission and Council to seize the opportunity provided by the Lisbon Treaty for using sport as an efficient soft diplomacy instrument”. The recommendations as stated hereunder are accompanied by the description of supporting means. They are of course proposals to the Commissioner and it will be the Commissioner’s decision to take these recommendations into consideration for further development. Cha, V. D. (2009). Beyond the Final Score: the Politics of Sport in Asia. New York: Columbia University Press. Cull, N. J. (2009). Public Diplomacy: Lessons from the Past. Los Angeles: Figueroa Press. Nye, J. S. (2004). Soft Power: The Means to Success in World Politics. New York: PublicAffairs. Zhang, Q. (2013). Sports Diplomacy: The Chinese Experience and Perspective. Hague Journal of Diplomacy, 8, 211-233. 14211. Subject: Guidelines and Operating Procedures for VOA’s Foreign Correspondents. 1. Foreign correspondents of the Voice of America stand at the important and highly visible juncture of journalism and diplomacy. 2. While VOA journalists are government employees, subject to all the laws and regulations which apply to the conduct of everyone in the federal service, they are required at the same time to perform with a high degree of journalistic professionalism and integrity. The work and status of VOA overseas correspondents are identical to those of correspondents for other American press and broadcasting organizations except as specifically noted in this telegram. 3. The primary task of the VOA foreign correspondent, in fulfillment of the VOA Charter’s requirement that Voice of America news be accurate, objective, comprehensive, and consistently authoritative, is to give depth and perspective to the broadcast news file. Bearing in mind the special interests of audiences around the world, the correspondent transmits actualities, eyewitness reports, backgrounders, interviews and advisories designed to assist the foreign listener in understanding the news. 4. VOA correspondents are not investigative reporters. They broadcast the news; they do not present their opinions nor do they editorialize in their reporting. 5. VOA correspondents are supervised directly by the Chief of the VOA News Division in Washington and receive assignments exclusively from the Voice of America. All material submitted by correspondents is reviewed by VOA Washington before usage to ensure that it meets VOA charter standards. 6. VOA correspondents will travel with regular fee (not official or diplomatic) passports; they will enter a country with journalist visas; they will register and be accredited as journalists; they will be subject to local laws and regulations applicable to foreign journalists; they will [Page 392]not have access to classified information; they will use post exchange or commissary facilities on the same basis as non-government American journalists are permitted to use these facilities; and they will not depend on U.S. Embassies or ICA posts for offices or residential space, secretarial services or other administrative support. 7. They will use commercial, not USG communications channels. (Embassy communications will be available only in cases were emergency conditions cause the establishment of “press pool” services available to other American journalists.) U.S. Embassies will be neither more nor less helpful to VOA correspondents than to other American journalists in giving or facilitating interviews, supplying information, aiding in travel. Making other arrangements, assisting with any difficulties. 8. Since the VOA is an official broadcasting service, it cannot, as a practical matter, divorce itself in the minds of many of its listeners from an identification with the U.S. Government. Therefore, a VOA correspondent will not seek an interview with a head of state or other politically prominent or controversial personality, either in or out of government, without the prior approval of the News Division in Washington, if the News Division agrees to the interview, the correspondent will inform the PAO [Public Affairs Officer, head of public diplomacy activities at a U.S. diplomatic mission - JB) or the Mission of the assignment as much in advance as possible. In the event that the Chief of Mission objects to the assignment, the correspondent will refer the matter to VOA Washington for resolution. 9. The same steps, i.e., prior approval from VOA Washington and prior notification of the PAO or Mission, will be followed in covering any story which can reasonably be deemed sensitive. 10. Similarly, should a story require travel in a war zone or other dangerous area, VOA correspondents will consult in advance with VOA Washington and will keep the Embassy informed of their plans. 11. The VOA correspondent has a general obligation to inform the PAO of his or her presence in the country, and of the general nature of his or her assignment(s). But PAOs will not supervise the work of a VOA correspondent, and the correspondent was no obligation to clear copy with anyone before transmitting it to VOA Washington. Missions, therefore, bear no responsibility for the content of material broadcast by the Voice of America. 12. If requested by the Chief of Mission, the correspondent will promptly provide a copy of the story after it has been filed. 13. Any comments, criticism or questions from the Chief of Mission regarding correspondent activities or copy should be directed to Washington through Department channels with an information copy to ICA. 14. The above guidelines are intended to define and clarify the status and responsibilities of VOA correspondents working abroad. [Page 393]This telegram, therefore, replaces and supersedes CA–800 of April 20, 1972, effective immediately. The considerable task of implementing the administrative arrangements (e.g., office space and housing), and solving specific questions they relate to each correspondent and each locality, will inevitably take additional time. All such arrangements, however, should be effective by October 1, 1978. 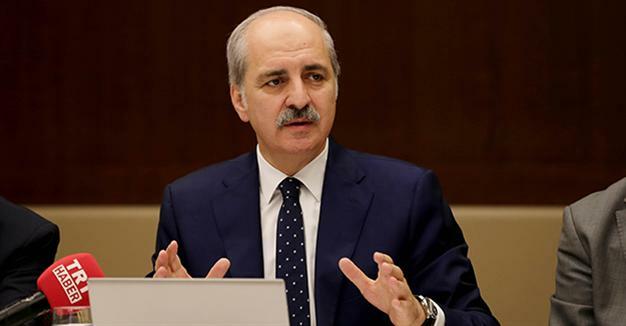 Turkey’s economy remains strong despite the July 15 failed coup attempt, Deputy Prime Minister Numan Kurtulmuş said late on July 29. “The negative impact of this [the July 15 coup attempt] on Turkey’s economy has been minimal. Thank God! Economic indicators have been improving upward since July 22,” Kurtulmuş said at a press conference in Ankara. “This shows how structurally solid Turkey’s economy is,” he added. 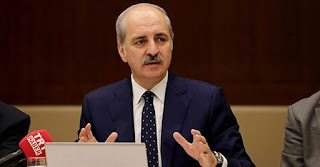 Kurtulmuş praised the crisis management of state and government institutions, especially Turkey’s Central Bank and Borsa Istanbul in coping with a challenging volatility in the Turkish markets after the coup bid. “It was very important that the Central Bank managed the process with good public diplomacy. It was also important that Borsa Istanbul did not operate agitatedly in this period,” he said. Kurtulmuş warned that not everything was over yet in Turkey, saying the group blamed for the coup attempt, the Fethullah Terrorist Organization (FETÖ), would not give up despite facing failure. “Now, they will try to drive Turkey into the corner through perception operations, especially in the Western world,” he said, highlighting the need for a coordinated effort against such operations. “A pillar of these operations will be to intentionally create negative activities, comments and speculations about Turkey’s economy abroad. Another pillar will be propaganda on human rights,” he said. “We need to form a well-performing economic diplomacy within the context of public diplomacy during the post-July 15 period,” he added. Scientific-practical seminar on the topic "Ukraine - Middle East: prospects for development. Public Diplomacy"
International co-operation impossible fully organize only by state authorities. Local Ukrainian organizations should and they are able to participate in public diplomacy. That is why the July 28, 2016 was held the scientific-practical seminar on the topic "Ukraine - Middle East: prospects for development. Public Diplomacy ". It was organized by the Center of the International Relations with the countries of Middle East Department of International Relations on the base of Odessa Office of the International Personnel Academy and the International Congress on protection of rights and freedoms citizens "Shield" with the informational portal "Arabian Ukraine." The representatives of public and religious organizations, national minorities and the media took part in the discussions during the seminar. The President of the International Organization "Shield" and the director of the Center of the International Relations with the countries of the Middle East Department of the International Relations of Odessa Office on the base of the International Personnel Academy, Professor Mohamed Saleh Daher opened the seminar with the introductory speech. In his speech, he expressed the hope that the variety of nationalities and religions around the world will reach a consensus soon and there will be peace in the world. The plenipotentiary representative of the International Personnel Academy, Pr. Osipov Valeriy Borisovich, in his speech noted the importance of strong relations between Ukraine and Arabian countries and stressed on the importance of public diplomacy in the formation of these relations. The next speaker, the chief editor of the information portal " Arabic Ukraine," Dr. Mohammad Faradjallah expressed his views on the topic of the seminar was. His comprehensive report was devoted to the topic of creating a bridge between two cultures - Ukrainian and Arabic. The Chairman of Odessa regional organization of the National Union of Journalists of Ukraine, Yuriy Rabotin, noted:” The most important thing in this seminar is the authorities should take into account the desire of public organizations to help Ukrainian and Arab governments to normalize relations between two nations”. The Vice-president of the International organization "Shield" added: "Palestine is one of the sharpest problem in the Middle East and the world as a whole. We, all together, must fight for the recognition of an independent Palestinian state and the right of Palestinians on self-determination. " An opinion, on issues of cooperation between Ukraine and the Arabian countries, expressed the representative of Odessa regional TV, Matyukh Oksana and others. At the end of the seminar, all members agreed to create the document that will make a new adjustments in the future development of the relations between Ukraine and the Arabian countries. 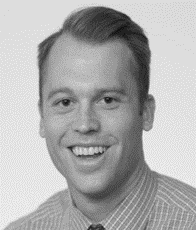 Alex Jorgensen was a Public Diplomacy (PD) Student who completed a joint MAIR/MSPR. He finished his degree in the spring of 2016. PD students combine an MA in International Relations from the Maxwell School with a MS in Public Relations from the Newhouse School. This semester I had the privilege of working as an Account Executive at JM Strategic Communications Group in Manhattan. JMSC’s mission is to supply a high-level strategic consultancy to public and private companies in their investor relations and public relations practices. Our mission is to combine business objectives with strategy to communicate effectively to shareholders and stakeholders a company’s story and performance. As I developed the basic skills to establish myself in the firm I felt that the Public Diplomacy program puts practitioners in a unique position to differentiate themselves. Students from the Public Diplomacy program have the skills to differentiate themselves through traditional public relations experience from practical PR curriculum, digital marketing, social media strategy, and an understanding of working with government officials while being a non-state actor. Through developing public relations strategies for particular clients, developing a network of Search Engine Optimization colleagues who bolster my digital media knowledge, and delivering on social media operations for in-house accounts and client accounts; I saw firsthand how lessons from the PD program applied directly to my daily routine. Some key lessons from my practicum were that I learned the foundations of building marketing strategies for communicating the value of a start-up to new business and the general public, through the research and development of our company’s website. Possibly the most impactful lesson was in the balance between quality and timeliness. To become an expert in any field one must learn how to prioritize which tasks need to be treated with extensive detail, and which need to be turned at a speed that combines quality with timeliness. I do not think I have mastered this skill, but think that I am further than I imagined I could be in one semester’s time. Another key application from Maxwell was knowledge about how the government functions, specifically with non-state actors. The government plays an important role in our operations. The sweeping regulations that came with Sarbanes-Oaxley, and the 2009 financial crisis have produced an environment in which public companies need to constantly be vigilant of the information they disclose in ensuring an equal playing field for all investors. Whether or not that playing field has been established is not up to the practitioners themselves, but taking accountability of their own day-to-day operations should produce a synergistic effect that ensures that playing field is intact. This experience was an incredible way to apply lessons from Maxwell and Newhouse to the beginning of my professional career in investor relations. No First Use: Don’t Do It, Mr. President! Kosovo: Entering through the Sport’s Door?